Kate Middleton's hair is always on point. It doesn't matter if she's volunteering at a homeless shelter or partying with the queen, her brunette locks are perfection. Her long-time hairstylist Richard Ward shared all of his secrets with People magazine, so that you can score her royal blowout at home. And the best part is that the product he uses won't break the bank. Middleton has been a faithful client of Ward's for around 10 years. Even though she's now the Duchess of Cambridge, not much has changed in her hair routine. Middleton first started receiving the "Chelsea Blow Dry" from the hairstylist as a student in college. "She's the same person that first came into the salon," Ward told People. To re-create Middleton's look, you'll need a quality blowdryer with a nozzle because it concentrates the heat to the section you are working on. But you'll save big on the hair expert's secret weapon. 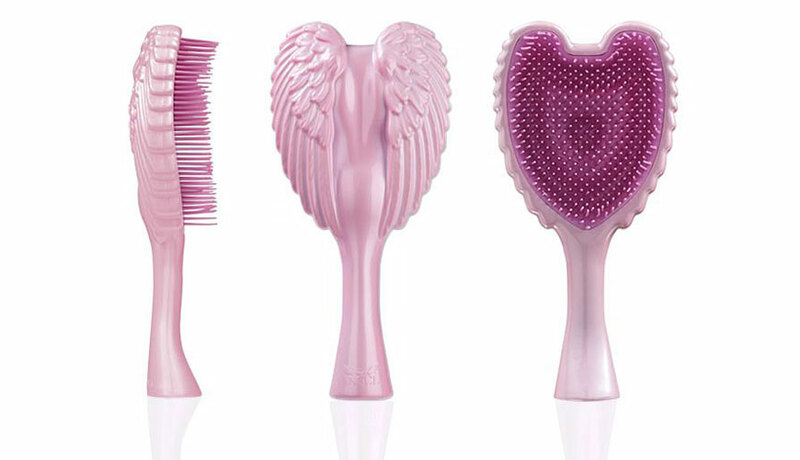 "I always brush the hair through with my anti-bacterial and anti-static Tangle Angel," Ward said. It's a heat-resistant brush that can be used to detangle wet or dry hair, and the must-have tool is only about $17 (tangleangel.com). Ward uses the uniquely shaped brush to prep Middleton's freshly washed strands. Once the hair is blow-dried and smooth, you don't want to overload your style with product. Instead of multiple styling sprays, Ward turns to rollers to lock the curl pattern in place. The technique requires lots of lifting at the roots, so he suggested for beginners to give the hair a good tug. "If you feel you're being too aggressive or pulling your hair too much, trust me you can't be," Ward said. That's the best way to get Middleton's voluminous look. "It's not just about Kate's hair–it is beautifully finished, frizz-free, shiny hair," says Ward. If you have a similar hair texture as Middleton, you can get a gorgeous, bouncy blowout by following Ward's helpful tips.